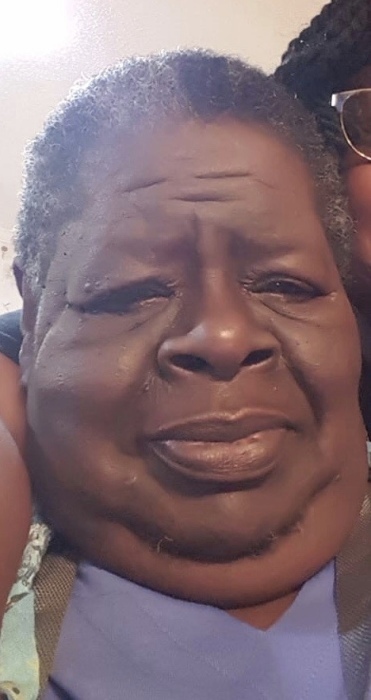 Mother Hiawatha Hudson, 71, departed this life Wednesday April 10, 2019 in Dillon County. She was the sister of Quizella Lowe, the mother of Sherroll Haynes. You may visit the family at 1738 Senator Gasque Rd. Marion. Funeral services are scheduled to be held at the Bethlehem Baptist Church, Marion Wednesday April 17, 2019 at 1:00 pm. She will be laid to rest in the Devotion Gardens Cemetery, Mullins. Hiawatha (Tiny) would like to let you know that her work here is done. She received a call, a sort of an offer you can’t refuse, for an appointment from which she will not be returning. This assignment comes with a huge sign-on bonus, a reunion with family and friends she has not seen in a long time. Hiawatha Haynes Hudson (Tiny), the daughter of the late Wilhemina Haynes and the late Theodore Simmons, was given the blessing of birth on May 14, 1947 in Marion, South Carolina. On Wednesday afternoon April 11, 2019 God reclaimed his own. She was married to the late Arthur Hudson. She attended the public schools of Marion County and was a member of the class of 1965. She possessed a friendly outgoing personality and generous spirit. Tiny as she was affectional known proved her skills as domestic goddess as her worldly trade. She could run circles around the best of them. But, no one could touch her in this arena of getting the job done. Life chose to give her task after task, but she never failed at any job given to her. Hiawatha’s Christian experience began as a toddler at Bethlehem Baptist Church, Marion, SC. While at Bethlehem, she sang on the Adult choir and attended Sunday School faithfully until her healthy failed. Hiawatha was blessed with two children: Sherroll Renee Haynes and Frank Charles Haynes, whom she loved dearly. Hiawatha’s memory will forever be cherished by her children: Sherroll Renee Haynes, Jacksonville. FL, and Frank Charles Haynes, Charlotte, NC, three grandchildren, Ashianna Haynes, Jeremiah Summerour, Atlanta, GA Justin Easton Jacksonville Fl, two sisters, Quizella H. Lowe, Marion, SC, Odessa Galloway, Fayetteville, NC, one niece Elisa Davis (Bernard) Mocksville, NC; one nephew, William Lowe, Philadelphia, Pa, special cousin, Lisa Seabrook, Marion, SC, Special friendships forever: Joan Ransom, Wrenice Brantley, Doris Davis, Sue Sanders, Irene Dewitt, Helen F. Johnson, Faye Davis, Geraldine Mace, Betty Ann James, and a host of relatives and friends.